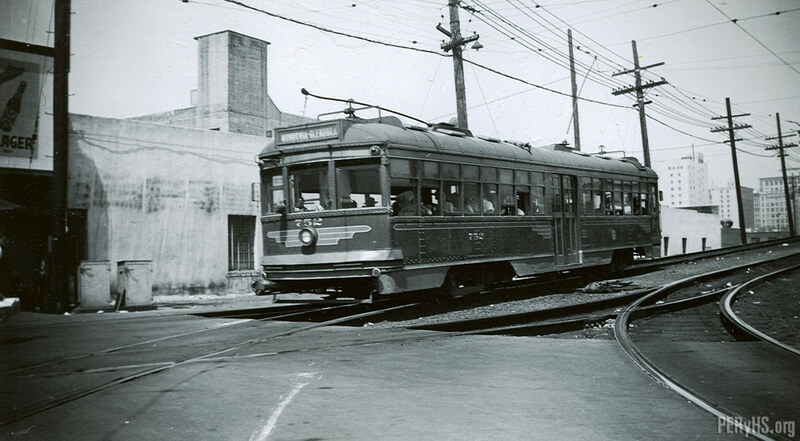 Pacific Electric car no. 752 descends from the viaduct at the 6th and Main Street Station in Los Angeles on its way to service on the Monrovia-Glendale Line in this image dated July 7, 1951. Please correct caption to read Monrovia-Glendora Line. I agree with Bob Davis. The destination marker on #752 reads: “Monrovia-Glendora.